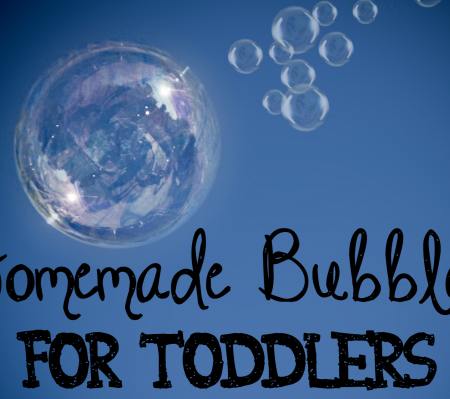 Today I am sharing a super easy recipe to make Homemade Bubbles For Toddlers. Bubbles are so much fun, sticky, but fun. I love bubbles, all three of my daughters love bubbles, heck even the cat loves cackling at them. Another reason I love about bubbles, they are cheap entertainment, especially for toddlers. I am totally serious, you don’t even have to give the toddler the bottle of bubbles you can sit there and blow them and they will literally chase them around for hours. If you get lazy you could always buy this Bubble Guppies Motorized Bubble Blower from Amazon so you can sit back and take some photos of all the fun. Not into Bubble Guppies? No worries, Amazon has Dora, Sponge Bob, and Paw Patrol too! 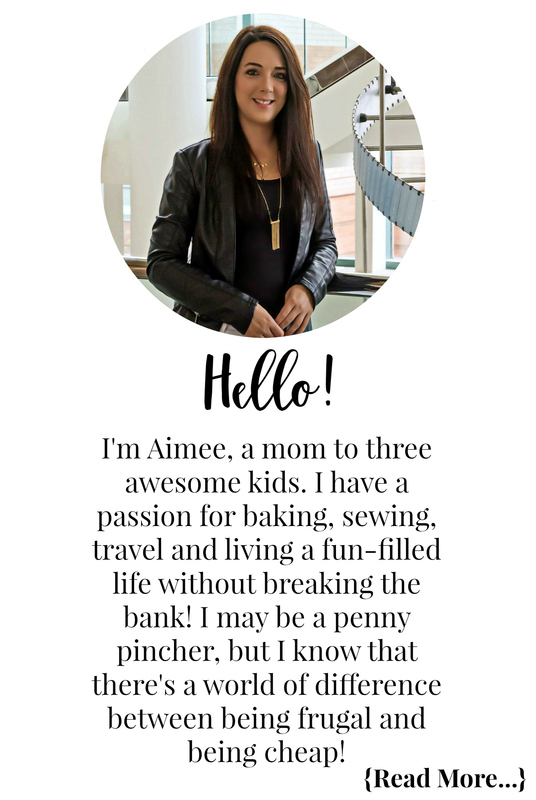 I think my only warning with bubbles is to make sure the kids are in play clothes, I have had a few mystery bubble solution stains end up on a not-so-cheap outfit a few too many times. This is especially true if using coloured bubbles which by the way are super fun and educational at the same time! Depending on how I am feeling and how much of my inner Martha Stewart I am channeling on a lets play with bubbles day decides whether I pull out a bottle of the pre-made stuff or if I throw on my Suzy Homemaker apron and whip up a batch of Homemade Bubbles For Toddlers. Mix together your water, glycerin or corn syrup, and dish soap. If wanting to make coloured bubbles simply add in 1 drop of food colouring to your solution. If you want multiple colours you can make a double batch and divide it up into separate dishes, one for each colour. Be sure to use old containers or purchase some from the dollar store that you won’t mind if they are stained by the colouring. Remember if you use food colouring please put your child in play clothing that you won’t mind if they end up getting stained. 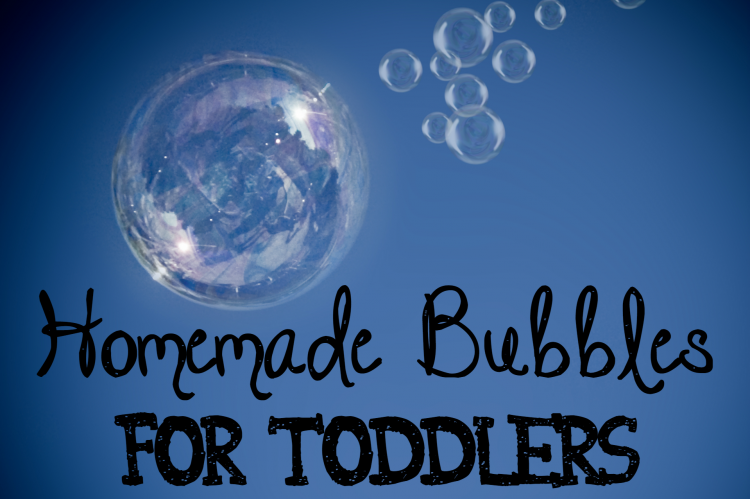 Let me know in the comment section below all about your toddlers bubble fun if you try this recipe out! My daughter LOVES bubbles! this will come very handy! thank you! Thanks for the recipe,since the kids are all out !